. They are an excellent way to get creative with colors and patterns and it also keeps you engaged. All you need is some paint and a paint brush and you can let your creative juices flow. 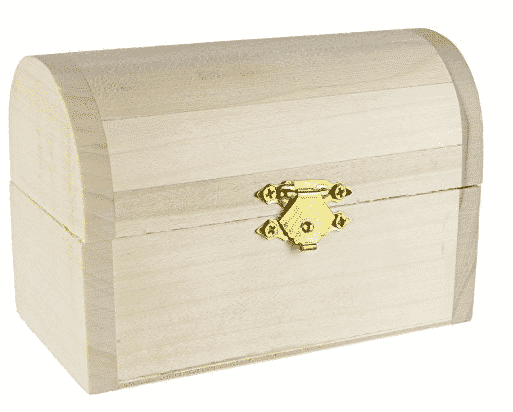 If you have kids then you can also get them involved by buying them interesting unfinished wood crafts such as the unfinished treasure boxes. This project also makes a great spring break project for them. Wipe the unfinished treasure boxes with a dry cloth to make sure there are no particles in it. Let your kids get creative with the design and patterns they want on their boxes using the wood markers. They can also use self-adhesive jewels to make it look authentic and attractive. Finally, you can give them fake pirate coins to fill their treasure boxes with loot. This project also makes a wonderful activity for a kid’s birthday party.